Karen L. Podell graduated from Fordham University Law School in 1993 and has practiced law since being admitted to the NYS Bar in March of 1994. From that time to the present, she has operated a general law practice including the fields of Matrimonial and Family Law; Estate Law including Surrogate Court practice and litigation; Immigration Law; Education Law; Real Estate Law, including Landlord/Tenant law, and other general civil matters in the District and Supreme Courts. Since March of 2015, Karen has been with Feldman, Kramer & Monaco. 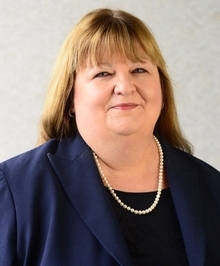 She is a member of the Suffolk County Bar Association as well as the Nassau County Bar Association; has served as a court-appointed Guardian ad Litem in the Surrogate’s Court; and has served as a member of the Committee for Special Education in both Kings Park and Three Village School Districts for a period of over 10 years.